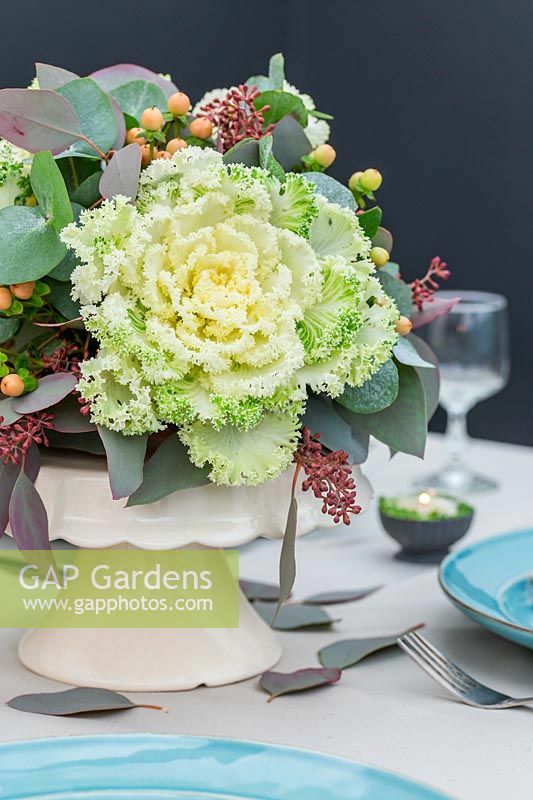 Table decorations using ornamental cabbage, Hypercium berries and Eucalyptus placed on cake stand. © All images subject to Copyright. Images available for use by license only.